iPhone X is very precious and valuable phone and every user needs to use it in a fine way. If you are using it and having issues with its side button, it may call as a usual thing as many iPhone users face this situation. You don’t need to take any tension as you can fix iPhone X side button not working issues by yourself without knowing anything about technical terms. Fixing this side button is important as there is no home button in iPhone. So, we are going to inform you different possible solutions about such condition. 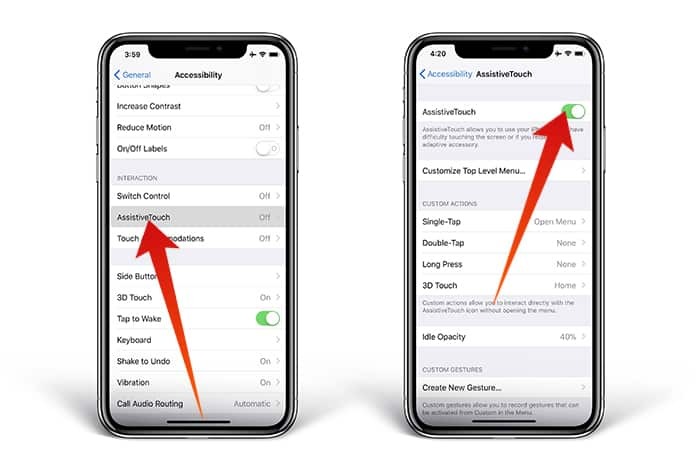 To utilize the functionalities of iPhone X side button, you need to turn on the AssistiveTouch by going to the Settings app. This AssistiveTouch will enable you to use Emergency SOS, activate Siri, take screenshots, and the most important lock and turn on your iPhone X. It means you are able to turn on your iPhone and also can turn off your phone without the need for side button. In below, we are providing you the complete procedure to turn on the AssistiveTouch. First of all, you need to open the Settings app and then tap on General. After that tap on Accessibility and finally access to AssistiveTouch. You have to turn on the switch which is with AssistiveTouch. When you will on the switch, it will turn to green and the small circular button will appear on your iPhone X screen. Above is the complete method to activate the AssistiveTouch. When you on it, the small circular area is on your screen, you can move it to any side of your screen dragging your finger. Now we are going to inform you to use this AssistiveTouch option to do different needed operations/functions on iPhone without the need for side button. Have a look at the methods of mostly asked operations. 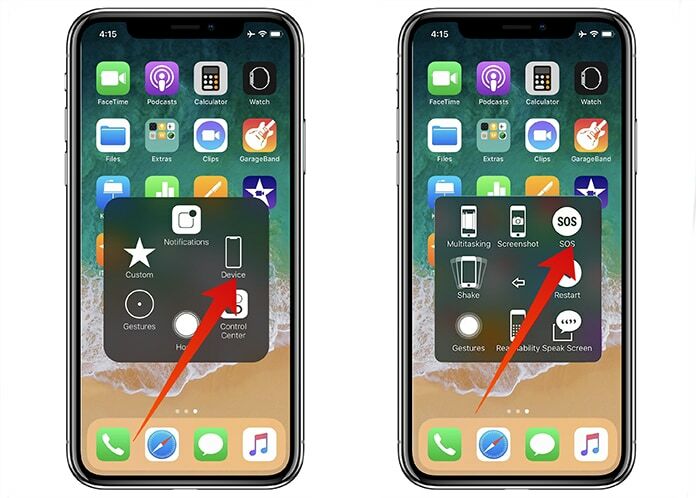 To lock your iPhone X, you just have to tap on AssistiveTouch circular button and then click on Device. Now tap on “Lock Screen” button in the menu. All done. To do this, you should tap on AssistiveTouch and then click on Device. After that, tap on More -> SOS. Taping on SOS will activate the Emergency SOS on your iPhone X. First of all, click on AssistiveTouch which will be available on your screen. Now you can tap on Siri icon to activate it. These are the things with you can do without the need for side button of your iPhone. However, you should consider fixing your phone side button. It is very important and you cannot do this yourself. Your iPhone consists of various smaller parts which require special toolkits to operate and fix. Therefore, you can contact Apple to solve iPhone X side button not working issues. Till then AssistiveTouch is the best choice for you as it allows you to operate your iPhone X normally without any problem.